*Available for USA and Canada. **Available for Germany, Austria, Switzerland, USA, and Canada. We want to make your lab life easier. To reduce your supply chain and procurement efforts, we created a webshop with access to more than 16,000 of our products. Within your personal dashboard, you have full control over your demands and orders. Easily create your favorites lists, manage your demands, and track the status of your orders in realtime. For even more convenient procurement, check out our eProcurement integration capabilities with your existing systems and processes. Business made easy! Customer-specific prices See your specific pricing online and order at the right rates. Online promotions See promotion conditions online and save budget. 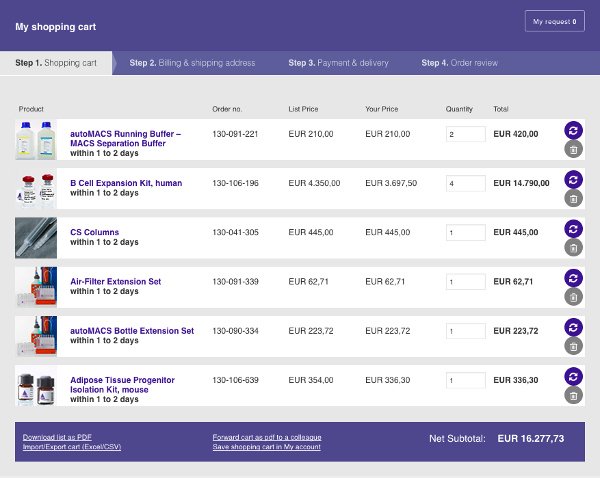 Order history You can easily check and search for all orders placed online. Order status Quickly check the order status at any time from any device. Favorites lists Create and manage product favorites lists for your projects. Saved carts Save shopping carts to be ordered later or used for multiple identical purchases. Cart import/export Import and export shopping carts to be shared with colleagues or used offline usage. 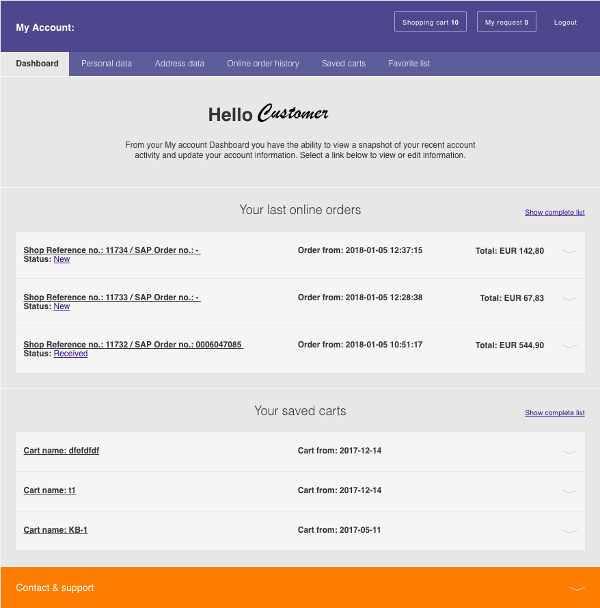 Cart forwarding Easily forward carts to your procurement colleagues. Account management Administrate shipping address and contact details online. No worries! Just start filling your shopping cart and create your account within just a few minutes during check out. Our customer service colleagues will send you a notification as soon as your account has been verified and your order is being processed.